In a time when climate change threatens our environment and when lawmakers in the United States reject the severity of it, a group of passionate youth have stepped up to demand action. In 2010, we began working with Our Children’s Trust and iMatter supported by climate scientists, constitutional law professors and faith-based communities to bring attention to a new movement of young people calling on state and federal governments to protect the atmosphere for future generations. For decades, the U.S. government knew about the connection between fossil fuel and climate change. Yet, administration after administration took affirmative actions to permit and encourage fossil fuel development even though government reports from as early as 1965 recognized climate change as a catastrophic threat. “Today, this known threat is violating the youngest generation’s constitutional rights to life, liberty, and property,” said WITNESS Senior Attorney and Program Manager, Kelly Matheson. On May 4, 2011, youth with the help of Our Children’s Trust brought legal action against all 50 states and the United States government. WITNESS collaborated with Our Children’s Trust, iMatter and a team of filmmakers from Montana State University to create “Stories of Trust: Calling for Climate Recovery”, ten videos featuring youth plaintiffs from across the U.S. These videos tell the personal stories of each of the plaintiffs, how they and their communities have been harmed by climate change, how their rights have been infringed and why, ultimately, they were suing the government, not for financial compensation, but for action. The young people are demanding that the federal government enact a “National Climate Recovery Plan that is in line with the best available science and honors their constitutional rights. With our partners, we distributed the videos globally, and five of them were hand-delivered to President Obama. “Stories of Trust” helped the innovative legal strategy gain more attention and recognition in the U.S. and beyond. As the youths’ landmark constitutional climate lawsuit, Juliana v. United States, makes its way through the legal system, the Trump administration has employed extreme tactics to get the case dismissed, including the unprecedented use of a rare legal maneuver called a petition for a writ of mandamus. To date, the Trump administration has used this “drastic and extraordinary measure” three times in combination with a series of other delay tactics to silence the voice of youth and keep science out of the courtroom. WITNESS has believed in these brave youth and Our Children’s Trust since the beginning of their journey. We are so excited that their work has been featured recently on 60 minutes. We add our voices of support to the 21 young plaintiffs who are demanding an end to reckless fossil fuel development and for the drastic curbing of carbon emissions that contribute to detrimental climate change. Environmental rights are human rights. We must take action now to ensure the rights of this youngest generation and of those to come. 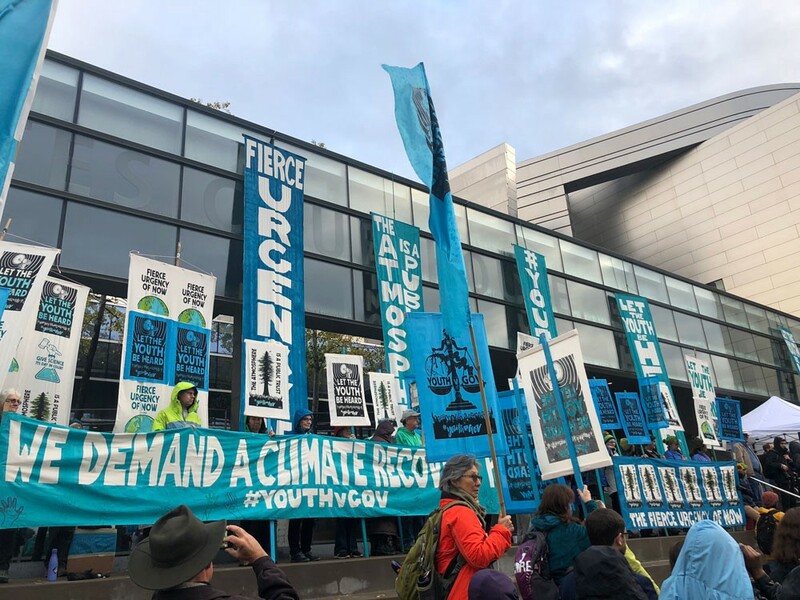 Stay up-to-date with developments in Juliana v. U.S. on social media by following @youthvgov on Facebook, Instagram, and Twitter or by subscribing to the podcast, “No Ordinary Lawsuit”.